Here is what my mom-in-law has to say about punarpuli/bhadpuli/kokum. "When my mom was alive, she used to dry the kokum & prepare rasam with both dry & fresh kokum(also known as bhadpuli in Tulu). Kokum fruit would be available during late spring/summer & kokum has cooling effects on the body. It is given to people having pitta dosha, as it is said to balance the pitta. We used to drink this as a soup. These days we get kokum syrup in Hebri & other places, that is used to prepare cool drink or a summer drink". 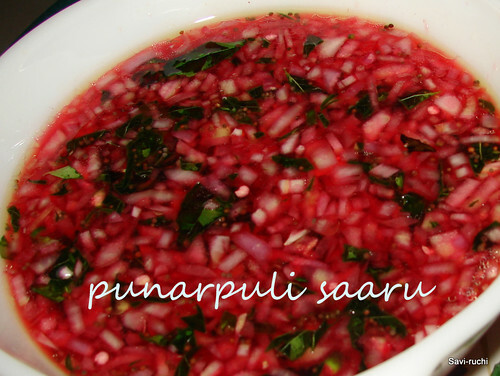 This saaru is prepared, relished from many decades(could that be centuries too! !, not sure) & I'm sure, this will also be prepared for many more generations/decades to come. The rasam is very very simple & can be prepared within minutes. Not many ingredients & this one tastes heaven. This one is a perfect example for "Less is More". Let the mixture soak for about 20-30mins. Finely chop the green chillies & add the chillies to the same water & squeeze the juice of the kokum + green chillies. Discard the squeezed kokum. Add salt, jaggery & mix well. No need to heat it again. Finely chop the onion & add the raw onions to the rasam prepared. Prepare the tempering. Add oil. When oil is hot, add mustard seeds, when mustard seeds splutter add curry leaves & saute till the leaves color change. Pour this tempering to the rasam prepared. Rasam is ready to be served. Unlike conventional rasams, this rasam is not boiled & consumed warm or cold. It can be preserved for 3-4 days in fridge(Add onions & tempering only for the required quantity). This rasam tastes better the next day. Curry leaves has tremendous health benefits. Finely chop the curry leaves & then add it to rasam or any vegetable. This way, we do not discard the curry leaves & consume them. Adjust the sweetness in the rasam according to one's family needs. Store bought kokum/punarpuli would be soaked in salt & then dried. Hence adjust the salt level accordingly. If hands start burning after squeezing the green chillies, apply coconut oil on your palms. wow! yummy! my all time fav! thumba chennagide. illi singapore nalli kokum sigatta? mustafa nalli enu hesaru? Punarpuli reminds me of home. My mom makes this, ohh i just love this saaru.I do not get punarpuli here. slurrp! looks tempting kanri. Do we get dried kokum in Singapore? this is new to me but must be wonderful! we prepare in a similar way with tamarind instead of kokum...Next time I will try with kokum...looks so nice..
kokam syrup concentrate stock namma mneli idde iratte, Blore hodaga Udupi stores inda kokam can tartene :) now now u made me nostalgic too! 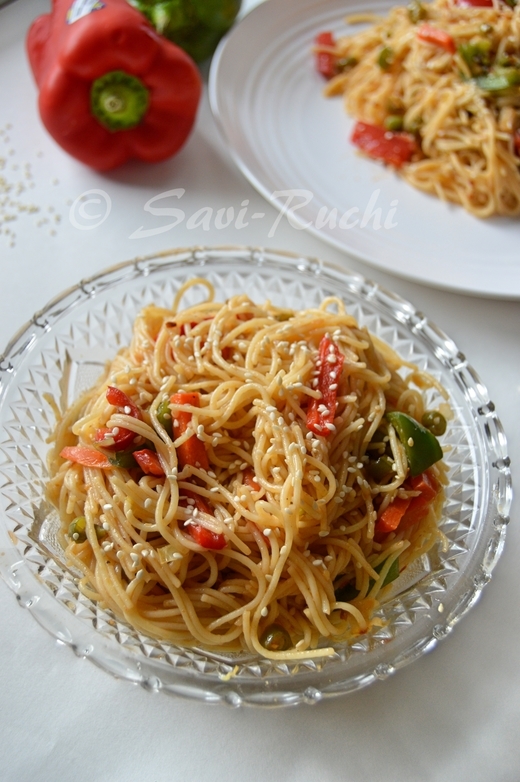 Thank you Sushma for sending one of fav recipes from my childhood :) As a small child I relished this 'red' saaru and loved its sweet and sour taste:) we prepare it exactly like you except we don't add onions. Sushma, that Punarpuli saaru reminded me of my home:) My mom used to make it almost every weekend and how I usd to love it:) are you also from Mangalore? My in-laws are from Udupi. Thanks a lot for your lovely comments. Thanks a lot for all your comments. Completely a new one to me..looks splendid..would like to experiment..
first time here..hope to see more often. Hi, where to get kokam. ..